AURORA The sound of police and news helicopters buzzed over the Anschutz Medical Campus on Friday and dogs searched locked-down research buildings as workers at the Rocky Mountain regions premier medical research campus grappled with the reality that the suspected Batman killer had, until last month, been one of their own. 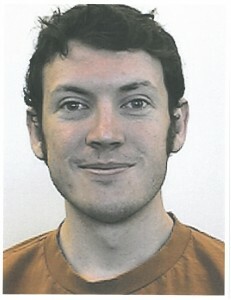 James Holmes, 24, had been a student at the University of Colorados graduate program in neurosciences. He had lived just one block west of the leafy campus full of new high-rise buildings and adjacent to two of the leading hospitals in the Denver area, the University of Colorado Hospital and Childrens Hospital Colorado, where one child shot during the chaos had died. James Holmes, 24, the suspected Batman shooter, was a neuroscience graduate student at the University of Colorado Denvers Anschutz Medical Campus. Anschutz workers tuned in to news feeds, horrified that what may become the largest mass shooting in U.S. history happened so close to them. Meanwhile, 23 of those who were shot were being treated at CUs hospital. Its sad. Its senseless. Im tired of people being killed, said Carol Reagan, a program manager at Anschutz. She and two friends sat outside during a break and wondered if they had ever seen Holmes walk by them. Neighbors described him as geeky and quiet, the kind of person you would never notice. He looked like so many of the young students, doctors and researchers who stroll this campus in scrubs or white lab coats. Its just evil, said one woman, whose own 16-year-old son had asked to go to the movies the night before. The woman, who asked not to be identified, told her son, No because she had to work the next day. Now both of her children, ages 16 and 13, are asking, Are we ever going to be able to go to the movies again? Even the midnight show seemed the most innocent of outings, a safe getaway for young people excited about the debut of a hot new action flick. Another worker who also did not want to be identified said she wanted to keep her 11- and 9-year-old close since shootings can happen anywhere from schools and grocery stores to movie theaters. All the women who live close to both the medical campus and the movie theater said it was hard to leave their children on Friday morning as they headed to work. You pray all the way in and you pray all day long, one said. The medical campus chief of police locked down two campus buildings so dogs could search the labs and offices. Many of you have noticed the increased police on campus as a result of the tragic movie theater shooting. Our thoughts are focused on the patients and the families who have lost loved ones, Police Chief Doug Abraham wrote in a note to faculty staff and students. The alleged shooter involved, James Holmes, spent time as a graduate student at the Anschutz Medical Campus. He voluntarily left in June 2012, his building access was then terminated and he was in the process of completing withdrawal paperwork. He is currently in police custody and we do not believe he has been on campus since mid-June. Even so, Abraham wrote that out of an abudance of caution all non-essential staff should leave two campus buildings so specially trained dogs could search them. Aside from the buzz of helicopters overhead, the Anschutz Medical Campus was eerily quiet on Friday. The leafy campus is a sharp contrast to the low-income neighborhood just west of the campus where suspected Batman shooter James Holmes had been a neuroscience until last month. Blocks away, police prepared to defuse bombs in Holmes booby-trapped apartment and planned to shut down North Peoria Street, the major thoroughfare adjacent to the medical campus. University officials sent out a statement noting that the CU hospital and partner medical institutions worked diligently through the night and morning to assist victims and their families. For their expertise and care, we say thank you. University officials said they were cooperating fully with the Aurora Police and other authorities as they continue their investigation. We are also focused on the health and safety of our students, faculty and staff. Our campus police department, counseling services, and leadership are working on meeting all of the campus communitys needs.This includes an increased police presence and a specially-trained dog-sweep of university buildings.